Needless to say, it wasn’t the backpack for me, so I returned it to REI. It wasn’t just the defective emergency whistle; it was more that the capacity was too large for a summer Camino. 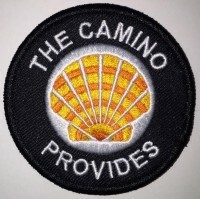 From what I’ve learned from the friendly pilgrims on the APOC Facebook group is that people always wish they had packed less on their Camino. I realized that 48 liters is far too big, and I didn’t want to be tempted to fill it and weigh myself down. 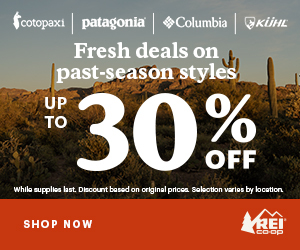 I love REI, but that particular backpack didn’t work for me. I know they are able to resell items at monthly used gear sales, so I’m sure someone scored a good deal on the gently used Traverse. And so the quest continued. I tried the Osprey Mira 34 Hydration Pack. This had the back mesh suspension and zip panel opening features that I like. It also has a hydration bladder, which I had been curious to try. It holds 3 liters of water so it’s BIG and heavy when full that it takes up most of the pack’s capacity. I found it very awkward to fill in my kitchen sink and fit back into the pocket. I couldn’t imagine doing this at sinks and fountains along the Camino. Nevertheless, I gave it a test during a poles hiking workshop and hike in Redwood Park. Three liters seems like overkill for the Camino, where you are never too far from a clean source of water. I thought about a post from one of my favorite bloggers, Claudia Camina, who stays hydrated by refilling plastic bottles and occasionally buying a fresh bottle from a cafe or bar for 1 euro. I like this simple, low cost approach, and you support the local businesses when you need to use their facilities for a bathroom break. It wasn’t until later that I learned about the SmarTube hydration system (referenced in the video above) from Cathy Seitchik Diaz on our Walk in the Redwoods. Alas, the built-in hydration pack didn’t work for me so I returned the Osprey Mira 34 to REI. So once again, I felt like Goldilocks in my quest for the right Camino backpack. The Traverse was too big, the Osprey Mira was to small with the big water pouch taking up all the space. Fortunately, I found a backpack that is just right! I will write about it a future post. Until then, buen Camino!